From the Middle Ages onwards, writers, artists and composers became self-consciously aware of the vast potential for external references to enrich their works. By evoking canonical texts and their producers from the distant or more recent past, authors demonstrated their respect for tradition while showcasing their own merits. In so doing they also manipulated the memory of their readers. This volume represents a multidisciplinary approach to the themes of citation and intertextual play. 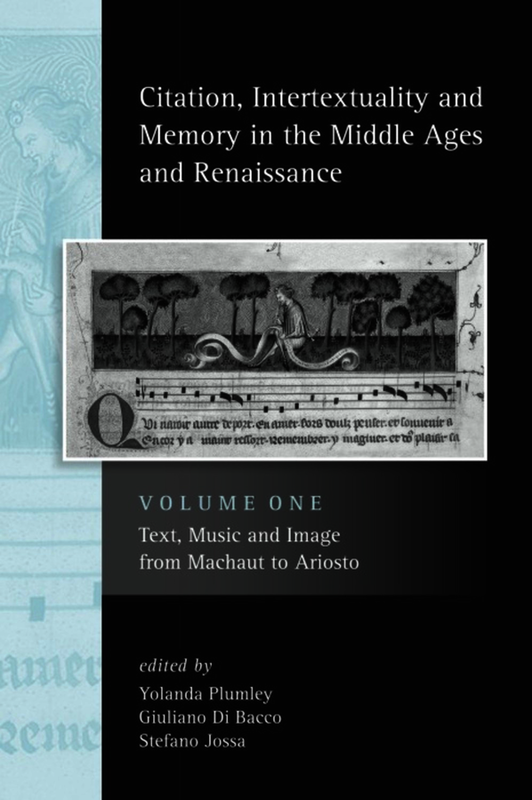 It is also an exploration of the role of memory in the cultural production of the late Middle Ages and early Renaissance. The essays investigate work by renowned authors, composers and artists, as well as less familiar sources, from France, England and Italy. Butterfield and Palti provide wonderful and complementary reflections on English lyric...Collectively, these studies show how varied and dynamic an author/artist’s engagement with traditions and predecessors, as with reader/viewers, can be...Readers will find much to admire in the insightful essays gathered in this volume. Yolanda Plumley is Director of the Centre for Medieval Studies at the University of Exeter and Reader in Medieval Music and Culture. Giuliano Di Bacco is Research Fellow in Medieval Studies at the University of Exeter. Stefano Jossa is Lecturer in Italian at Royal Holloway, University of London.